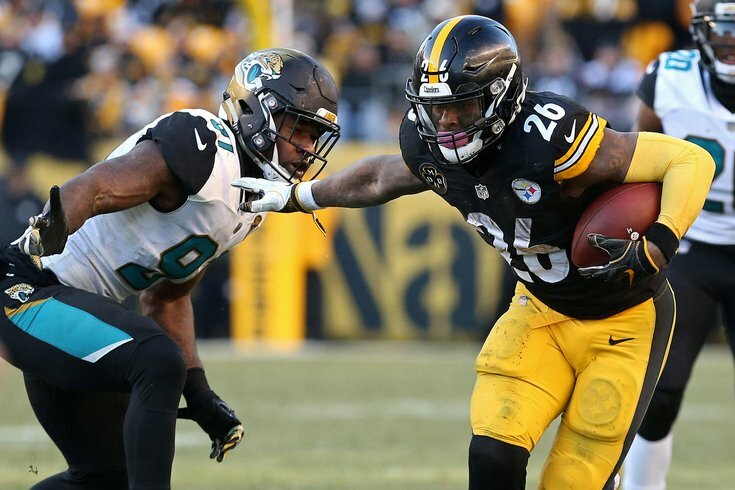 It seems like a safe bet that until either the Eagles make a trade for a running back or the Week 8 NFL Trade Deadline passes (10/30), you'll be reading articles like this one about players like Le'Veon Bell and LeSean McCoy. The Eagles are far and away the favorites to land Bell via trade, which is interesting considering reports have said the Birds did not purposefully renegotiate Fletcher Cox's contract to make room to get Bell. However, there is still a chance, as confirmed by Doug Pederson earlier this morning. "I'm sure that is a possibility," the coach said when asked about bringing in a running back. "Howie [Roseman] is going to continue to look and see what's out there, see what's available and see if there is somebody we need to bring in. But in the short term, we're very confident in the guys we have and these guys have worked extremely hard and excited for their opportunity." Philly will roll with who they have for their Thursday night date against the Giants, meaning fantasy owners of Wendell Smallwood and Corey Clement should pay close attention. But in the long term, they may add some help, as they did with Jay Ajayi last year around this time. Ajayi, of course, is done for the year after tearing his ACL. The second most discussed option after Bell is former Eagles RB LeSean McCoy — who reports say is the subject of trade inquiries by the Eagles. This wasn't exactly confirmed or denied by Bills head coach Sean McDermott. "LeSean is one of our better players... We get calls all the time... I won't go into any more detail than that." If it helps, for some analysis, Ruben Frank of NBC Sports Philadelphia seems to think the McCoy rumor is total hogwash. It’s almost unimaginable to think the Eagles would trade for McCoy. I know there was a report out of Buffalo that said they were interested, but it makes no sense and honestly I’d be absolutely stunned if it happens. Here’s why. You have to start with Howie Roseman, who was the Eagles’ general manager from 2010 through 2014 and again since 2016. What have we learned from watching Howie over the last decade? He never allocates significant resources for running backs. Howie comes from the school that says you spend money on offensive line, defensive line and quarterback and fill in the pieces at other positions with capable pros, often late-round picks or undrafted guys. Think about it. In Roseman’s eight years as general manager, the Eagles haven’t drafted a running back in the first three rounds, and they haven’t signed a free agent running back to a big-money deal. Chances seem greatest that the team looks elsewhere for a running back — or for help at wide receiver or defensive tackle, two other positions hit by the injury bug. Stay turned for more on the Eagles rumor mill as we get closer to the deadline.